In the last few years you’ve seen his work on futuristic user interfaces in “The Amazing Spider-Man 2”, “Pacific Rim” and “Total Recall”. 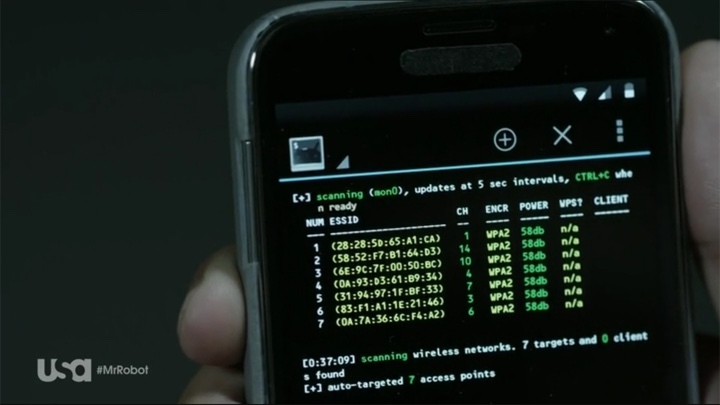 Last summer you’ve seen his true-to-the-metal work on the low-level interfaces in the first season of “Mr Robot”. And his work is currently on display in the first season of SyFy’s “The Expanse”, ranging from the medical and transportation interfaces of Ceres, to the navigation interfaces of the various spaceships, to the transparent blocks of glass that pervade all inhabited worlds of the show. It gives me great pleasure to welcome Timothy Peel of the Junction Box design studio to the ongoing series of interviews on fantasy user interfaces. In this interview Timothy talks about the wide variety of feature and episodic productions that he’s been working on since the early 2000s, the increasing presence of screens in those productions in the last decade, the difference between impressing and convincing viewers, the overall evolution in the world of episodic television in general and the more specific changes in the quantity and the quality of screen interfaces in it, the world of narrative interface design that supports the story and the plot, and his views on design in general. In between he delves deeper into the almost-invisible screens of “Jessica Jones” and “Mr Robot” that stay true to the nature of the shows, the extravagantly complex interfaces of “Pacific Rim”, and the vast screen universe of “The Expanse” that spans multiple worlds, spaceships and types of interactions. 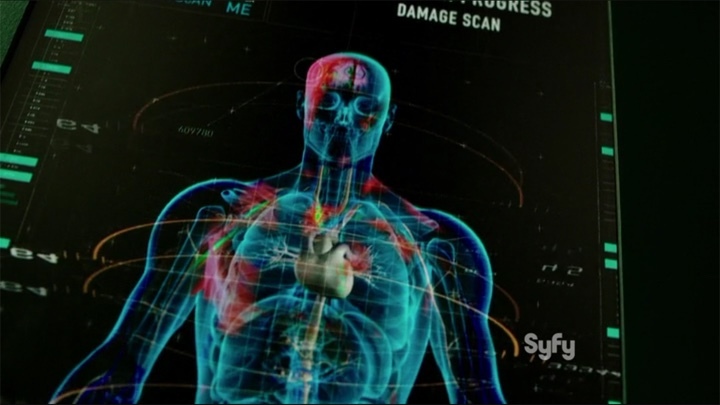 Screen graphics on “The Expanse”. Courtesy of Timothy Peel. Timothy: I come from a whole family of designers. My father is an architect and my mother is a designer, a teacher and a painter. I lived in a designed environment my whole life. It was this very beautiful bubble that, of course, would burst many times. I was always interested in visual arts, specifically graphic design; I’ve always loved graphics even from a very young age. I went to an arts high school where I was exposed to painting, life drawing, sculpture, and pottery – very much traditional art forms. And then in the early 90s at the Ontario College of Art (now OCAD University), I was introduced to web design, a sort of new revolution, a new economy, a new way of doing things. It was this whole idea of interactivity. After OCA, I started doing very preliminary web design as the internet bandwidth improved. Illustrator and, Photoshop were pretty new. They were radical new tools that changed the way we thought about design. At the same time I did some temporary summer jobs working in the movie business. Primarily it was building sets, making props and working with SFX. I did things like rig explosives on Johnny Mnemonic and install squibs into the walls for Robocop the TV series. I started to notice some of the drawings and graphics coming from the art department and they seemed like something that I could do. I went back to university and majored in interactive design with a minor in film. I returned to the film industry where I eventually became a senior graphic designer. I have been working steadily ever since. I was being asked to do a lot of playback and interface design. Back in the late 90s they didn’t really have someone specifically for that job so it usually fell to the graphic designer. It’s still kind of a new job, even though more and more there are times when a film’s major narrative points are being told through a screen or a phone or some kind of user interface. Over time, I ended up doing more interface design than graphic design and I started to really prefer it. Graphic design is still a primary part of UI/UX but now there’s interactivity, animation, visual effects (VFX), 3D rendering. It’s become a huge task to evolve along with it. Screen graphics on “Total Recall”. Courtesy of Timothy Peel. Kirill: How would you describe the evolution of the tools that you’ve been using since you’ve started doing user interfaces? Are they becoming more powerful and easy to use, just as you have more demand for evermore elaborate interfaces? Timothy: The tools are evolving very quickly, and not always at the same rate. Illustrator and Photoshop are well integrated with After Effects. Cinema4D has some nice plugins that work directly with After Effects now. I switch back and forth between all these design suites as it becomes more efficient, but all that efficiency leads to more complexity and more ambition. Kirill: You mentioned scripts relying heavily on using phones, tablets, monitors or even whole tables as screens. Was there any specific point in time for you where this became very prevalent, or perhaps it was just a gradual progression over the years? Timothy: It made a pretty serious jump around 2003-2004. I worked on the remake of Dawn of the Dead in 2003. You have these survivors locked up in a mall as the whole world goes to hell with zombies surrounding them. They watch the end of the world on this vast array of televisions in a fake Panasonic TV store. Panasonic was actually considering having stores like Sony does, and they came to do a “concept store” with us. We developed all these different news stations as pre-recorded footage. This wasn’t VFX, it was played back live on-set. This is where most of my early experience happened with motion graphics, UI/UX. It was the first time my screen-based content was a very big part of a scene, much more so than before. This had been done on many movies before Dawn of the Dead, but for me personally, the jump was around then. A few weeks later, I had to make a couple of screens appear to be real touchscreens even before we had real ones that could work on set. We had an operator affect the screen as the actor touched it. It’s funny because all we do is interactive screens now. That was a different time. Kirill: What changed for you when the first iPhone was introduced in 2007? Suddenly you have this slab of glass available to millions, tens of millions, hundreds of millions of people. And fast-forward to the present and screens surround us every single waking minute. Timothy: My team does a great deal of programming custom phone apps for props/actors. Sometimes we’re just mimicking a real phone. Much of the playback that we’ve done is not that noticeable and doesn’t detract from the actor’s performance. I try to find a balance between good design and pure functionality, to keep the script going. We’ve encountered some difficulty on set with the smartphones. They’re not really props, they’re real things. For example, it’s hard to hide the date and time, or the carrier on the display. 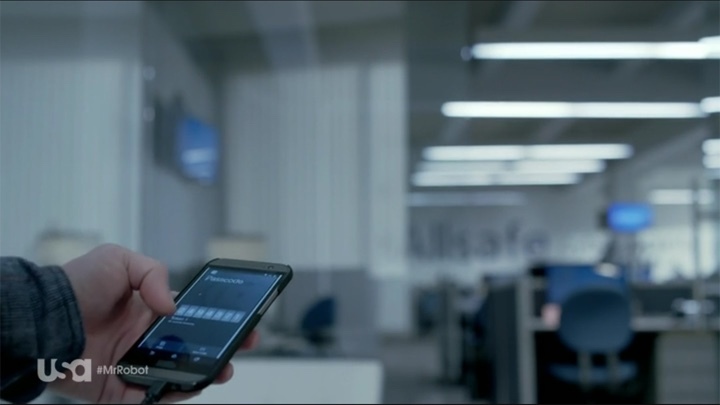 If you have a movie without an AT&T agreement, you can’t show the AT&T logo on the phone. It’s very tough to remove that without VFX during post-production. We have to write proprietary apps most of the time. It’s a real device but it’s been co-opted by us. It still has all the interactive functions the phone has but we can control what is displayed and when. Additionally, we can start making it do things a phone never does. That’s the FUI/FUX part. From a producer’s perspective this saves production from having to do any of this in post-production. It also gives the actors something truly real and interactive to work with. We get a good response from actors and particularly the directors. You don’t need to track and roto phones anymore; for us it’s huge. Going back to your question, the portable, interactive, mobile device is ubiquitous. It’s everywhere. It’s interesting that a lot of script writers are sitting in a room surrounded by those devices as they write a script. They look over and say maybe he’ll use the phone to unlock that door, or maybe he’ll use the tablet to x-ray that person. The option is there and it becomes part of the script. 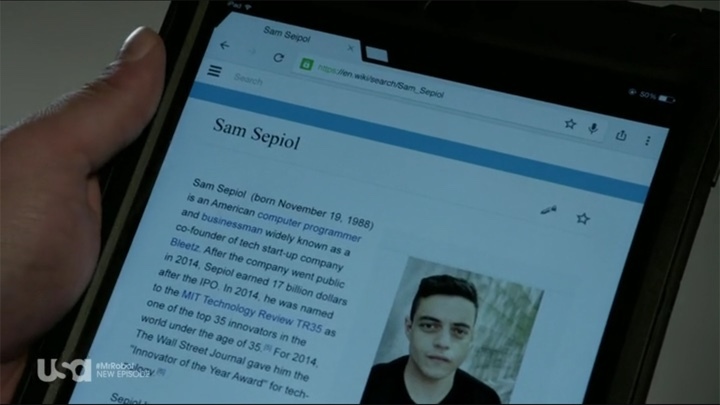 Screen graphics on “Mr Robot”. Courtesy of Timothy Peel. Kirill: Do you think that it’s becoming harder of you to impress me as the viewer when I’m getting used to our devices being so powerful in the sense that I can do so many things with them? It might be harder for me to escape into a world that can’t impress me with its screens. Timothy: Interesting question. I’m not sure that our job is necessarily to impress you. It’s more about convincing you. I think it’s more important to convince you that this is real to the world that we’ve created. From my experience it is the actor who will/or will not make it impressive. Their interaction with it is key. Some devices have a reduced narrative purpose until the actor uses it. Kirill: Realistic to that specific universe. Timothy: Yes. I just finished doing the first season of “The Expanse”. It has some of what I’ve seen on your website, science fiction fantasy UI/UXs that are truly fictional. Each one has to have its own look and has to be impressive in its own little world. The show has a very detailed design and script and there are many different looks required. Sometimes we do about 12 or 13 different environments per episode. They have some small interactive screens, and some massive screens for starship bridges, and all kinds of holographic displays. It’s a wonderful range of designs and when lumped together they seem eclectic. Sometimes they’re deliberately unimpressive. Kirill: And you can be a bit more eclectic because the show is set 200 years into the future. Timothy: You can also step outside of reality and have some real fun. 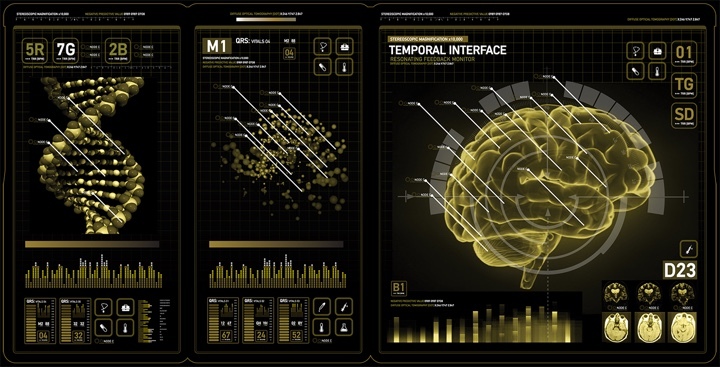 Futuristic medical UI/UX is always fun. Dreaming of what I would love doctors to have when treating me! 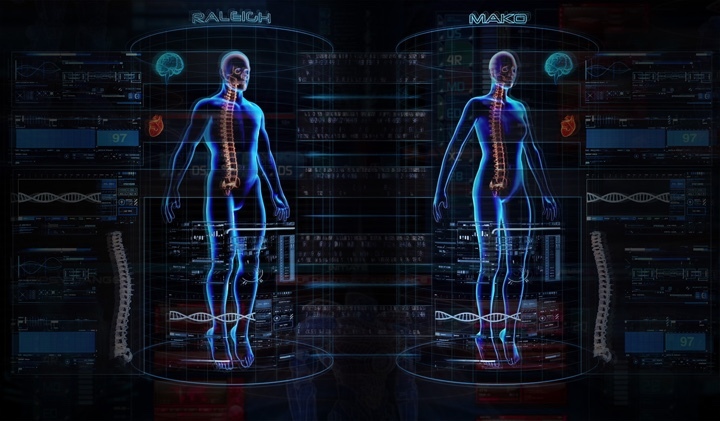 You can create 3D X-rays, or create 3D skeletal systems. We can produce very interesting visuals. It’s a nod to the wondrous medical illustrations I love so much. Just cool looking motion graphics for a-typical sci-fi stuff. I think we’re all struggling to find new territory. I find it with each new Director. These days they’re taking advantage of what’s available to them from motion graphics. They’re usually great storytellers. When they see the options available, what a user interfaces could be, and then are able to embrace new ideas – it’s amazing. Sometimes you have complete script rewrites that involve the addition of new interactive elements. Suddenly, it makes your life very difficult, but really fun. Kirill: How does it work for you on TV shows when you have different directors coming in to work on one or two episodes of a season? How do you maintain continuity across the story line? Timothy: It can be an extraordinary challenge, and sometimes you lock horns. Sometimes they don’t like what you’ve done and they want a green screen put up there. But most of the time TV directors are very receptive to the fact that they’re guest directors for usually one or two episodes in what is a large continuum. 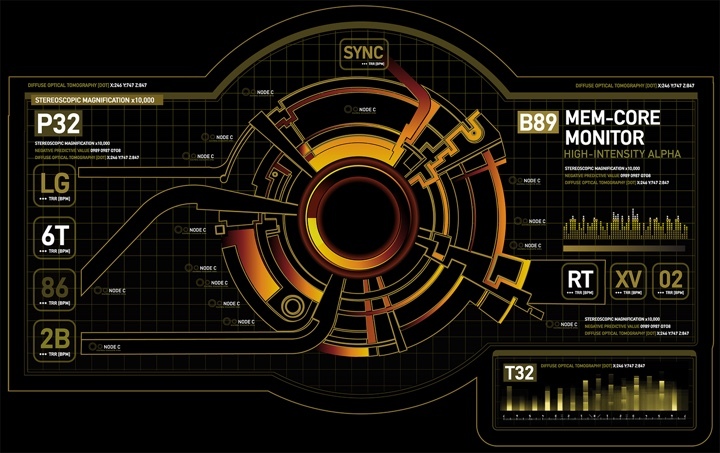 In the TV world, the Production Designer and Show Runner have much more say over the design of the interface. They tend to stay throughout the entire season or more. Between the VFX Supervisor, Production Designer, Show Runner and the Producer they approve the look that you start to develop. The director wants specific changes to augment what the characters are doing, but most of the time you’re helping them to keep up. Kirill: Because you only have a week to shoot an episode. Timothy: Yes, even less sometimes. I’ve seen sets finished five days ahead of filming. It gets painted three days ahead of filming; the set dressers put the screens in two days ahead of filming. That means that I have less than 24 hours to alter my design to fit the screen, still satisfy the script, and design something that doesn’t need to be replaced in post. It’s very intense work. Kirill: Do you get used to the craziness of this compressed schedule? Timothy: After fifteen years, I would say yes. I find all other jobs slow and a bit dull now. To make things a little more manageable I’ve built a vast stock library of various pieces of design and code. The design is always original for every show, although I’m changing the design. I have re-useable code for certain functions. You shouldn’t need to build that over and over again. I’ve become very efficient these days. I try to be involved in the whole process. I was on “The Amazing Spider-Man 2” for almost two years; from the very early days of pre-production to shooting in New York and then working with post/VFX in LA. Kirill: Bringing you back to Mr. Robot that you’ve mentioned, and you’ve worked on Jessica Jones and Hannibal, these are shows where the screens are quite invisible. I don’t think that you can have a show set in the present time and not have slabs of glass in it, but these are examples of productions where screens just disappear into the background. Timothy: It’s difficult to have a contemporary show without slabs of glass in it. And things change of course, because these slabs of glass will be transparent soon. I love going to CES because it’s snap shot of future tech. You see a slice of what’s coming. I think there are three basic divisions for motion graphics in film. There is straight-up motion graphics, interactive stuff, and then there is the fantasy side where you go into post to create things that don’t exist yet. CES is where I see that fantasy become reality. I think that when you can start to really animate on transparent materials it will really change the way we interact with graphics. Windows and storefronts will change. All the glass real estate on a bus could be used for ads and wayfinding. It’s incredibly exciting. Kirill: And there were quite a few in Total Recall. Timothy: I made a large amount of content for holograms in that film. The jobs are divided into these huge teams of vendors now. There was a mini army of people working on that film. It’s a personal victory when you see your own specific creation go by in a couple of seconds during the crew screening. It’s like one big machine made of individual people making these spectacles. Kirill: So on Mr. Robot did you find yourself being a bit more precise in the technical details of the interface because it’s a show about a hacker, and hacker viewers love to dissect those interfaces? Timothy: Absolutely. The show runners, writers and the producers are really clever, they’re very involved in how detailed it is. They are perhaps the most detail-specific people that I’ve worked for, and I respect them tremendously for that. They’ve created a really compelling script that demands highly realistic stuff. 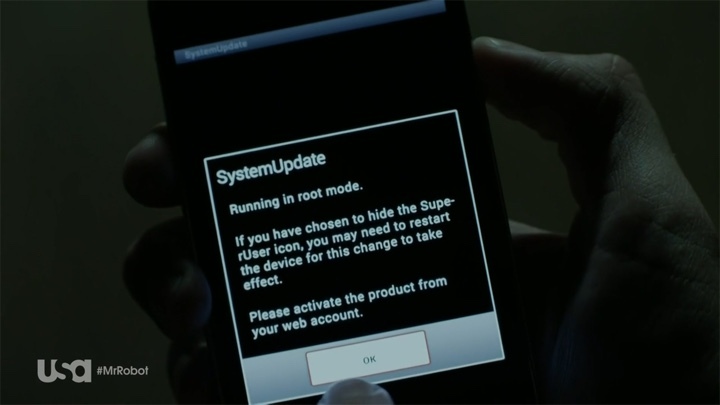 The scene where Elliot hacks a phone by installing an “exploit” was done pretty accurately. I have the exact software. I knew exactly how to replicate the real software but I had to change it for legal reasons. There was a blog site claiming that “technically” we didn’t get it 100% accurate. This is a TV show not an instruction manual! We’re not allowed to show the exact thing [laughs]. It’s actually a compliment. It’s getting so close to real that they’re criticizing the part I left out! They think it’s an oversight, when in truth it’s deliberate. Kirill: And the interfaces had to be low level in a sense, to get as close to the metal as possible. Timothy: Very close to the metal. It is a very difficult challenge. When I train young designers that come to work for me they’re usually very flashy, doing very impressive stuff. That is incredibly necessary and we do. Ironically, my company is not really in the business of highly visible design. We’re working for a narrative product. This means that we need to do design which is appropriate. Sometimes flashy is not appropriate in context of the show. Kirill: I just finished watching the first season of “Jessica Jones” and it felt like the technology there was almost non-existent. Timothy: She’s not a techie; that’s not what her character is about. She’s actually a superhero pretending to be a normal human. Her investigative powers really have a lot to do with her physical snooping, her photos and her network of allies. Kirill: I was looking at the list of the TV shows that you did in the last two years, and it’s incredible. I wonder how many hours in the day do you need to keep track of all that??? Timothy: I was getting pretty unhealthy for a while. My company hires freelancers so I don’t need a large office. It’s a nice little studio and anyone who works with me can come in and use any of the machines there. I’ve learned to be a very good manager, balancing time with expectations. I maxed out my capacity at thirteen simultaneous shows. There were quite a few all-nighters and I was getting dangerously weak. Then I started to turn down shows after that (in the politest possible way) and I think that I’ve disappointed some who would have liked us work for them, but it was just that none of us could physically do it. Kirill: You mentioned that you’re on set a lot. Does it help that you’re in Canada, which seems to be the place where a lot of productions are done? Timothy: I do a lot of shows with Mike Sime and his company Visual Alchemy in New York. I provide software and content for their on-set playback operators on the various shows shooting there. They tend to work on set while I work remotely. I can send them apps and content, but when we have a really big set where we might have between 50 and 200 screens, I will fly down and be there for setting things up, altering the software, and meeting the director/actors. Sort of walking them through the UI/UX on set. You might have to do some changes on the fly, even on the day of the shoot. There comes moments when they ask you to re-render this animation in the next three minutes. [laughs] I occasionally suggest, “If you do two more shots without us, I can probably get it done”. Sometimes the director is willing to do that, but I never want my playback dictate the schedule. I‘m there to help them, not the other way around. My business has evolved. I worked in the art department and then on set for years, and that’s what I’m used to. It’s the post-production and VFX that I’m getting used to now. It’s fun. I’m sitting in a chair at home or in my office, same long hours though. Kirill: Do you find that it’s becoming more demanding to do work in post-production because we have gigantic high-definition screens at home and you need to be more precise? Timothy: Yes. I challenge you to tell the difference between a 4K and a 8K display at a certain distance. We were trying to see that at CES last year. We were at a Sharp’s pavilion where they had TV’s of 4K, 5K, 6K and 8K. We were filming them all trying to see if you could tell the difference at 10 feet away, and it wasn’t that noticeable. What does make it noticeable is the size of the TV. People are getting 60″, 80″, 100″ televisions in their house. That’s a small movie screen. Due to those huge screen sizes I make no distinction between TV and film quality work. We make the same level of detail for both. The TVs can show so much detail now, and you see the same level of detail sitting in the theater as you do sitting 2 feet away from your huge screen at home. Kirill: It also feels to me as a viewer that there’s been such a huge jump in the quality of the TV productions in the last few years, from story telling to the cinematic appearance of the visuals. Timothy: I think that has a lot to do with where the market is for the producers that are making these shows. The megaplexes that have large feature films are predominantly showing super-hero sci-fi action films, and that’s because the age group going is in the 18-30 range. And then you have people around the 25-50 who have an HBO membership; they’re willing to pay a premium price for good television, and far more nuanced and interesting scripts than what used to be. So you have a great deal of really interesting scripts coming into television. It’s really a golden age for TV. Kirill: Does it help that it’s “only” 10 or 12 episodes and not 22-23 like it used to be? Timothy: Yes, those days are just gone, at least for pay TV. The quality level that people are accustomed to would take a year and a half to make 20 episodes. I also think that attention spans are shorter now. With the rise of YouTube and clip-based entertainment I don’t think you can ever really get back to 20 episodes again. Kirill: I think that what’s great now is that we have stories. You can’t just watch one episode of Jessica Jones. You need to watch a whole season because that’s what is telling a single story. You can’t just tell somebody that this is my favorite episode of Mr. Robot, and that they should go and watch that one episode. Timothy: Episodes don’t exist on their own now, very different from multi feature film series. Kevin Feige at Marvel has stated he wants to make every film as a standalone story, but also to work in the greater narrative. You can watch The Avengers and never have seen any of the individual movies. You can watch Ironman 2 and then Ironman 1. There is some continuity, of course, but they’re very successful at making films stand on their own. Alternatively, TV series are actively encouraging binge watching with serial plots that require every episode. Kirill: I certainly welcome that as a viewer. The scripting is so much tighter, and a season feels like a 10-hour movie where I take breaks in the middle of it. Kirill: How was your work on The Expanse? Unlike many of your other productions, it’s set in a quite distant future. How do you imagine this world that exists 200 years into the future? Timothy: Of all the genres sci-fi is my favorite. Imagining what life could be like is so much fun. I try to ignore all my previous work. I try to look at the script as if I were a character in the story. I try to inhabit the character’s mind. What do we need to see in this scene? In the first episode we have a starship called the Canterbury. It’s a large ice-mining tanker. It’s a half dead old junker, much like the Nostromo from Alien. I developed a couple of screens with really beautiful interfaces, but then I added some fritz, static, digital noise, because not everything works on that ship. It’s a piece of junk. There are some traditional stations when you’re on a bridge. We looked at NASA, ISS, The US Air Force, and the Navy. There the only realistic examples we have of what that that bridge would be. While travelling through space, they should have a navigator, communications, weapons, life support…etc. But what would that interface look like in 200 years? It’s not Star Trek and it’s not the Space Station. It has to be convincing in it’s own way. I made it all look like the same operating system, messy, and eclectic to emulate the look of the ship itself. I made mostly navigation screens; they’re trying to locate chunks of ice within the rings of Saturn. They intercept that ice and store it in the hold. Finally they ship it back to Mars or Earth to sell as water. Some screens were very script-specific details. The commander hears a voice crying for help amongst the background static. That required a complex looking audio program. I looked at different submarine listening programs and how they use sonar. I emulated how they wash the signal through a number of various filters. I built an interface that was inspired by that. All the UI/UX content on that ship could be moved to a different screen location. They were all interchangeable. It made the set more dynamic. They never really featured it but we built it in anyway. Kirill: How does it feel that you spend a lot of time thinking and creating these interfaces, and then seeing them delegated to the background of the scene? Timothy: I used to be kind of disappointed when that happened. I’ve been in this business long enough to not let it bother. I don’t want to compete with the actors or the narrative. I really do understand it’s not personal. The needs of the story change all the time. When we finished first full cut “The Amazing Spider-Man 2”, it was 2 hours and 45 minutes long. They had to cut 45 minutes at least. I spent months working on an interactive glass table that wasn’t really prepared to have an interface on it. We had a very dedicated VFX supervisor, Jerome Chen, working with our director, Marc Webb. Together they helped Andrew Garfield and Dane DeHaan invent the required hand movements on the table. With the help of some preliminary animated samples I provided, they were able to roughly imagine what would be seen on that table and how to interact with it. Screen graphics on “The Amazing Spider-Man 2”. Courtesy of Timothy Peel. When they had to shorten the films run time it was decided that the interactive table was not essential to the story. It was pretty long and involved, more than 5000 frames. I think it was five months worth of designing, animating, compositing, rotoscoping, tracking, 3D rendering – a whole ton of work for the director’s cut, to pass muster and to look very realistic. I think it was December 23rd, just before Christmas, when they cut the entire scene. They told me just before I got on a plane for a much needed vacation. [laughs]. I was a little crushed but during the flight I let it sink in. I realized it was an understandable cut. And actually some of that table was in the trailer even though it wasn’t in the movie. Landing in the warm topical sun makes all those emotions disappear! Kirill: From what I remember of the movie, the table interface was on the screen for a very short amount of time. Timothy: We had a number of different table interfaces, for the total of about two minutes running time. The audience didn’t know the table is interactive until he drops an OsCorp hard drive on it. It was a secretive interface hidden within the glass table that had no hint of UI/UX. The moment that thing lands, it boots up the interface, the keyboard shows up and a whole bunch of files with it. I developed it in to work with stereo 3D theaters. I cheated it in a way that I’ve made it 3D from the audience perspective, but not necessarily from the actors. Kirill: I remember a shot from below the table surface, with the character’s face behind this stack of files. Timothy: Yes. I designed the interface to cascade down from the table, off the theater screen plane towards the audience. I made a 3D column of files that could be moved and rearranged; it would cascade down in a stack of folders. He could pull them up from the depths in 3D space. There was a scene where he starts playing a video of Electro. Due to the transparent quality of the table and UI/UX, the characters Harry Osborn and Electro’s faces line up. It sets up that they’re going to be bad guys together. It’s an elegant foreshow device. That was really cool, you could do something really interesting with that interface. Kirill: Do you feel that you have more time to explore user interfaces in feature film? I’m thinking, for example, of “Pacific Rim” and its very flashy interface constructs. Timothy: That was the hardest, most intense, most involved film of my career. Guillermo del Toro is a truly brilliant man. He really understands most everything you show him at a very intimate level, no matter how small the detail. I would approach him with some concepts on an iPad. He would look at it for a while and say, “Change this and that…” I wouldn’t always understand why he asked to change those details, but after looking at it again I would realize he was usually right. Good Directors always make sure they have the big picture in mind, all the time. It’s what their primary talent is. They possess an enormous capacity for that. Guillermo, much like Ridley Scott, is an extraordinarily design conscious Director. He’s almost a co-production designer at the same time. He really thinks about that kind of stuff, and for me the user interface had some really amazing challenges. He gave me a lot of freedom and faith, and I can’t tell you how much I appreciate him for doing that. It really changed me as an interface designer. In Pacific Rim you have something that is called “The Drift”. It’s the fictional process where the two pilots minds have to function as one, and that unified mind controls the robot. They required two versions – a earlier one in an Alaskan control center where we have the first generation robots, and then many years later we have one in Hong Kong with more advanced robots. Screen graphics on “Pacific Rim”. Courtesy of Timothy Peel. For the UI/UX I developed an early version and a later version. In the earlier version it’s a 3D image of two brains, slowly moving/syncing together. That’s when we know that the minds were in sync and could control the robot. Later I made a more advanced version. We had 3D images of the whole body with all the internal organs and the entire nervous system falling into sync. As the two 3D models merge and become one a 3D model of robot “builds itself” around that unified body. Visually, it looks like an extension of their body without the need for huge blaring text. Working with VFX supervisor John Knoll and Guillermo del Toro really opened my eyes. They took a lot of my practical animated content and translated them into 3D holographic displays inside the robot heads. ILM went even further. It was amazing when I first saw the film. When they added holographic interfaces, they kept the design language I had developed intact. It was a great surprise to see that. That collaborative process is so great, especially when I get to go to crew screening and I’m surprised by how it comes together. Kirill: Do you have any personal preference on what kind of production is more interesting for you, or is it that every production tickles its own part of your brain? Timothy: Every one of them does. Just 4-5 months ago I finished “Spotlight”, a film about some dark secrets of Catholic priesthood. It’s interesting that we were doing a period film from 1999-2001. It was period playback [laughs]. Interesting that 15 years ago is old enough to be considered period. We don’t build a lot of permanence into any of our tech. They’re obsolete very quickly, and so are our designs. It was interesting to try and go back to 1999-2001. It was a very transitional time between large CRT screens and LCD screens; going from 4×3 ratio to 16×9 ratio. It was a very eclectic pile of screens, and all of them running on Windows 98, Windows 2000 – antique software that doesn’t run on anything anymore. We had to rebuild it window by window. We created a proprietary app that had limited interactive functions so the actors could type into a word processor that doesn’t exist anymore. We had to provide super accurate UI/UX, making it almost invisible. Kirill: It’s so funny to hear you refer to something that happened only 15 years ago as period. Timothy: It’s less than 15 years. I was playing with an iPhone 4 yesterday, and it felt like a little brick. Sometimes you have to do fake designs and fake apps that are in that time and era. For “Pixels”, a ridiculous comedy, we created a fictional character called Lady Lisa. She was a 1984 style 8bit video game. Going from sci-fi holograms on “Pacific Rim” to doing an 8-bit video game in 1984 is what make this job interesting. I tried to find ways to cheat 8bit animation. I wanted make the 8-bit animation process more streamlined, but the only convincing way was to go frame-by-frame, to animate all the big blocky pixels. Like I did when I was in my early 20s! I started with a traditional hand-drawn style, I used that to create the pixel-block version. It became was a very realistic 1980s style video game animation. In the film it sits next to Donkey Kong and Pacman. It looked quite convincing, at least by my standards. It was such a challenge, because that was a total period playback, a period interface design. It’s 1984, not that long ago. Of course in computer terms, it’s ancient history. Kirill: That’s what’s funny for me. You and I understand that it’s ancient history, but it’s hard to convey that to a person outside of our immediate field. Timothy: For them it’s a seamless part of the narrative. I still believe that a good visual effect is the one you never notice to be a visual effect. Kirill: I guess that would be true for the screen interfaces that you’re doing. If they are unremarkable that means that you did a good job. Timothy: In that context, absolutely. On “Pacific Rim” they were remarkable, and we did that on purpose. I was a senior graphic designer on that film in addition to the motion graphics. We built six square blocks of Hong Kong inside a soundstage. We took over the entire Pinewood film studio complex in Toronto and kicked out every other film or TV show. We had this enormous piece of Hong Kong, with all the neon signs and the ads and traffic. Additionally, it’s Hong Kong in the year 2060, a more dystopian version. I designed future Hong Kong money printed on polymer with digital pieces in it. It was fun, we did all kinds of crazy stuff. All those designs were remarkable but unremarkable in the context. Kirill: You mentioned that movie theaters are dominated by these large budget productions. And the scope of those is pretty impressive. Timothy: The ambition combined with the budgets these days is almost unbelievable. If you have the trust of a good Director who recognizes how much passion and love you have for the job, and you get a little freedom to really take that to the next level, I think that the payoff is great for everybody, even if it never gets seen. Kirill: I’d say that you have to love what you do to be able to withstand this crazy schedule. Timothy: I try to recognize when I go into a room where everyone’s screaming at each other that it’s not personal. It is highly stressful. There’s the pressure of so much money with so much expectation in such a short time. It’s over the next day and everyone is battle-hardened from that point on. We’re working on fiction, you know. There’s a bunch of ambulance drivers working really hard right now at a much harder and more grueling job than us. I think that we almost owe it to those people that we should enjoy what we’re doing here. If we can escape a bit, maybe the viewer can too. Kirill: You’ve had a few years in the industry, and there must be some people that it’s not for them. You must see some, perhaps, younger people that get into the industry for the glamour, and then when it hits them in the face, they pack up and leave. Timothy: The attrition rate is very high. It’s very demanding. It is truly creative, but highly stressful too. The hours are way too long. You can see the crew visibly age before your eyes, with each movie they look that much older. It’s the stress of it. I see a lot of young talent enter the fray, some are very resilient and you can see that. Some are a little shocked and a bit heartbroken, then they realize what’s going on. It’s then that they quit or they really get into it. Sometimes the survivors are some of the best people you’ve ever worked with. There are some who are really brilliant, but not ready to work at that pace, and are better served by a different industry – maybe even in yours. I’m saying that from a film perspective. I’m sure some products out there have insane deadlines and everyone’s going crazy trying to finish it on time, but it’s not the deadline insanity of film. I think that we work with some of the fastest deadlines of all. It’s crushing. I try to encourage a lot of younger people who come to work with me. I find it really valuable when they survive a big mistake, and when they learn from it and are willing to stay in the business. Now they’ve been battle-hardened and they recognize how tough this job is, and they know where the limit is. Like what a director will tolerate, what a producer will tolerate. Just to find someone who’s had a few incidents is sometimes quite valuable, not completely scared of being on set, they’re not scared of actors. Not being star-struck. I think they actually appreciate that you talk to them straight, not being awestruck, not being intimidated by the whole process. It’s not for everyone. Sometimes it can be really intimidating for new employees. You get really heavyweight people around you sometimes. I’ve stood in a room surrounded by super famous Directors and actors, all discussing a scene with me, having a device and showing them how to use it, and having to tell them that they did it wrong, gently of course. [laughs]. Kirill: Without being in your shoes, perhaps the glamour wears off and it’s just another day on the job. Timothy: Yes. After all these years, I think the glamour resides in the script. We’re just doing our job to achieve that. It becomes routine. Kirill: Taking you outside of the specific productions that you’ve worked on, do you ever find yourself wondering if you’re going to run out of ideas for your next production? Timothy: Temporarily I feel totally out of ideas. I read a new script, and I try to imagine every solution for every set, I get overwhelmed. Then I realize that I need to put one foot in front of another. I just start with each problem on it’s own; it can all be done in a new way. I think that if you have confidence in yourself, after a little bit of time you’ll find it. I am sure that you can never run out of ideas. You just run out of time. Kirill: Out of time or out of budget. Kirill: That’s how you grow, right? If you don’t push your own boundaries, you stall. Timothy: You have to be a little bit scared and a little bit inspired all the time. Kirill: What are your thoughts on the term “Fantasy UIs”? Do you find that it captures what you do, especially since you have so many productions that happen in the everyday world around us? Timothy: It’s a fair description. 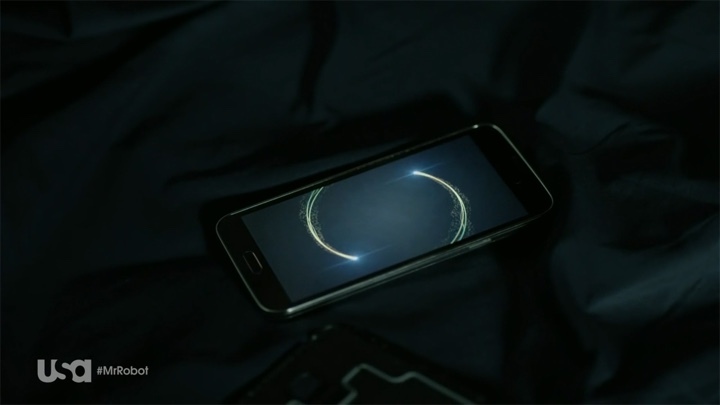 Even if I’m reproducing an iPhone interface exactly as it would appear in a real show, it’s still a fictional thing. It’s not a real phone, it’s not a real interface, it’s not a real person. It’s an actor in a scene. The whole thing is created and contrived. Fantasy user interface or fictional user interface totally encompasses what I do. I think that it fits it quite accurately. On set it’s just called playback. It’s a film industry term that was originally derived from playing back footage on TVs. That’s where it came from and it’s much more involved now. A more nuanced description of what I do could be narrative interface design. To put a screen or interactive device on set creates a narrative within a narrative. That is exponential, it goes on and on. Imagine a group of actors standing around looking at a screen with a movie on it, now you have added mini movie inside the actual movie. It’s a job that keeps growing. You can be standing on the bridge of The Enterprise, but you’re still looking at a huge view screen, at a whole part of movie inside the screen. It’s like a window into another world. It’s a dream within a dream. I know I’m describing Inception. Kirill: That’s a very poetic way to describe it. Timothy: This is what drives me. This is my motivating factor. This is my favorite part of fantasy user interface – that it’s an entire narrative inside a narrative. A director that I’m working with now has a scene where we have a command center filled with screens, and he has asked me that whenever one of the actors is standing with screen behind them, could I make the content have a little bit of the character’s personality in it. If this guy is a big angry beast it could be an “angry” screen? Could the colors be angry? It still has to look like it’s a part of the command center, but there’s just a little hint of the character being reflected in this light source behind them. It’s almost like a modern version of a halo painted by a Renaissance painter, and the size of the halo shows who’s the most important, but in a much more nuanced sense. I live for that. When asked to do that, I jump through hoops. I can’t wait. I’m rendering that now and hoping to show him on Friday. Kirill: You mentioned earlier that your field is quite young. Do you have any difficulty introducing yourself to people that you meet at a party as you try to summarize what it is you do for living? Timothy: All the time. Most of us who do fictional user interface and playback are essentially inventing the job we do. I’m one of the first generation to do this on a regular basis. Earlier films had very limited UI/UX. Pre Kubrick’s 2001 I don’t remember very much UI/UX at all. Because we’re paving the way, we end up having to introduce ourselves as a form of VFX. Honestly, I’ve been in situations where I have to stop talking so that other people can have a conversation because it becomes a very fascinating thing. I also tend to drone on and on…like this interview! Kirill: Do you think people are surprised to hear that every screen that they see in a movie needs to be designed? Timothy: Totally blown away. I think they really think that we go and spend a lot of money on actors, and then we just film stuff. They really think that we’re just taking a picture of something interesting. Most people are surprised, then they’re fascinated, and then they go looking for it all the time. Usually, when I see them again, they tell me about this screen that they saw and they seem to be disappointed when I tell them that it’s not something that I did. Sometimes it’s a movie where I’ve done 60% of the screens, but the 40% that were done by VFX were much more prolific than mine. Kirill: It might also get boring to only work on flashy stuff. Timothy: I’ve done a lot of it. I have the experience of having done endless amounts of it, and certain Directors are so extraordinary that I’d do anything to work with them again. And you can only be as good as the chances that you’ve been given. You can make a beautiful portfolio with a lot of great stuff and be an undiscovered super talent, but your ability to affect other people has a lot to do with the opportunities that you’ve been given. How well can you seize those opportunities? There’s getting the job and then there’s keeping it [laughs]. It’s two different things. I’m the founder of my company, so I’m the front man that bids for the jobs. Getting in the door is one thing; turning faith into trust is another thing completely. It’s a very tall order. Kirill: If everything could just be done as some kind of a combination of digital artifacts from some off-the-shelf library, you’d be out of business. Timothy: I doubt that it will ever happen. I don’t think that there will ever be a machine that will replace a designer, honestly. You’ll have a machine that can improve a design in a practical sense. The fact that you can 3D-print circuit boards now is amazing, and I’m pretty sure that when a machine knows how to print its own circuit boards, it will be able to improve itself. But I don’t think that’s design, I think that’s engineering. Design is an emotional experience and not an intellectual one. It’s how you feel about something. You might use your intellect to get there, but I think it’s your heart that tells you it’s good. How do you feel using this device? It’s no accident that Apple’s phone designs are flat slab with only one button. It feels as good as it looks. When you’re using new technology, some of it is about rehashing old technologies and repurposing them in a very clever new way. Much of that is dependent on how it feels. I don’t think that a machine will ever replace that part of us doing design. Kirill: Maybe even if AI will do it, it doesn’t mean that humans will enjoy it the way that we enjoy the imperfections of what other humans are creating. Timothy: That’s what a painting is. That’s why I think it’s a sensual process and not an intellectual or a logical one. There are other types of design that I find just as valuable, but for visual design it’s a sensual process, at least for me. You have interviewed other designers on your site, it seems this is something that we all do, even if it’s not conscious. We’re trying to carry the script and the narrative forward. Making something triggers a feeling. I don’t think a machine can repeat that. That’s why I love graphics. Some graphics I make are so minimalistic and simplistic, only because they needed to be, not because I was doing it for the sake of it. Couldn’t make them any simpler. If I removed or moved any single thing the design would fall apart. I can’t tell you what that decision-making process is. It seems to be essential. It finally felt perfect after tinkering with it. Kirill: I don’t think that on your side you can quantify design decisions quite in the same way that I can quantify my programming implementation decisions. Timothy: Programming works or it doesn’t. You don’t have a middle ground; you don’t have an “approximate” program. Program code is pure logic, its particular functions either work or they don’t. When you compile and run the code and it doesn’t work, there’s a logical flaw somewhere. It’s either perfect or not. Maybe the algorithm doesn’t fully work in the way you want it to, but it’s a highly logical thing. To quantify what makes a good design is, I think, so difficult that I don’t understand how an AI could do it. You’d have to program that, you’d have to logically code creative visual design and I don’t know if we can. At least not yet! Kirill: You work on these sometimes futuristic interfaces. Are you excited about the pace of technological evolution around us? Timothy: I think it’s scary, dangerous, intimidating but beyond all that, just wondrous. It’s so exciting. We live in a time that is probably moving a bit too fast. I don’t think that the culture has the chance to catch up. A lot of our infrastructure, our institutions are struggling to catch up, and even our politicians and our corporations are trying to catch up. But the pace of technological change is faster than it’s ever been. I think that’s actually really amazing. It’s going to be a bumpy ride and I’m glad I’m on it. And here I’d like to thank Timothy Peel for graciously agreeing to do the interview and for sharing the background materials. You can find more of his work at Junction Box design studio site. And if you’re interested to read additional interviews about the wonderful world of screen graphics and user interfaces for film and TV, click here for more.